Below are questions from existing and potential patients. 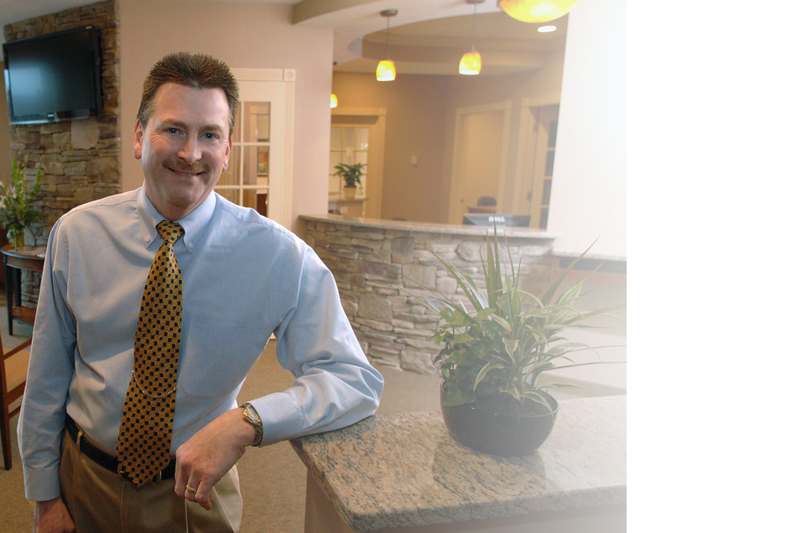 Dr. Scott knows that a well informed patient makes for a better experience when you have braces. Dr. Scott has compiled a list of typically asked questions and concerns patients want to know about. However, if you have a question or concern not listed below, please feel free to ask Dr. Scott yourself. Simply drop him an email or use our contact form on this website. Click on the + sign to uncover the answer. The American Association of Orthodontists recommends that children see an orthodontist around age seven. An experienced orthodontist can clearly see by this age whether developmental issues can turn into problems. Early detection of common orthodontic problems such as crowding, premature loss of baby teeth, cross bites, or many other unfavorable developmental issues can lead to the implementation of the most appropriate treatment that can result in a shorter course of therapy, and is less painful for the patient. Frequently, no early intervention will be necessary, except careful monitoring of your child’s dental development. This will give you peace of mind when it is not clear to you whether an issue you see is really a problem or just a stage of development that doesn’t require intervention. What are these new braces my orthodontist is using, the ones called self-ligating? Self-ligating braces have been around for decades. Over the past ten years, this amazing technology has been refined to the point where more and more orthodontists are incorporating them into their practice. They are extremely gentle in moving teeth. When used with the latest orthodontic wires, the pressure (AKA: the hurt from having braces tightened) can be reduced by over 50 percent! Another advantage with self-ligating braces is that they reduce treatment time up to 25 percent (keep in mind, this varies depending on the patient). However, one of the major disadvantages with some of these “3G” braces is their size; manufacturers make appliances in different sizes sand styles so they may vary from orthodontist to orthodontist. Overall though, self-ligating braces are here to stay, and I believe will only improve over time. Why do some patients have to wear rubber bands? Orthodontic elastics, AKA “rubber bands” are worn to help move the teeth into the positions the orthodontist desires. These elastics play a very important role in the process of moving either individual or groups of teeth into the proper bite with the opposing teeth. The orthodontist will decide which size, direction, and length of wear for each situation that they want the elastics worn. They will also monitor the reaction the elastic wear has and make any adjustments necessary to achieve the desired result. That is why it is so critical to have patients wear their elastics as prescribed; failure can result in significant delays in treatment, as well as incomplete correction of the original orthodontic problem. When is the best time to see an orthodontist for a checkup? The American Association of Orthodontists strongly urges patients to have an orthodontic screening exam by age seven. The reason is a simple one; orthodontists are specifically trained in a university setting to be able to recognize normal childhood facial and dental development. As such they are the experts at recognizing when growth and development is not occurring properly and having the training and experience necessary to intervene when appropriate. The vast majority of orthodontists provide for free screening exams and will only recommend interceptive treatment if there is a benefit to the patient. Most patients will not be ready for any type of orthodontic intervention at age seven, but it is a real comfort to a parent to know how their child is doing and what might they expect years into the future! My braces have been off for almost 2 years now. How long should I wear my retainers? The short answer is indefinitely. And the reason is that the mouth, including the teeth and underlying support structures, are subject to age related changes just like every other part of the body. Over time these age related changes contribute to subtle movements in tooth position that may be noticed as “shifting”. If the shifting is large enough, this can lead to even more shifting and the viscous cycle continues. Simply by wearing the retainers properly these forces can be reduced significantly and the teeth remain in balance and straight. What can we do to help our 9 year old daughter stop sucking her thumb? We've tried lots of different things and nothing seems to work. Thumb and finger sucking habits are very difficult to stop without a multi-disciplinary approach to the solution. Often time, parents become frustrated because they have had no success on their own; having tried numerous remedies with poor outcomes or high recurrence rates. There is no magic solution to the problem but rather may involve the use of non-removable habit appliances; behavior modification techniques; and referrals to myofunctional therapists who can work with your child to help reinforce the proper oral-facial balance. If left unchecked though, thumb and finger sucking habits will lead to a host of serious orthodontic problems that can be very difficult to permanently correct if at all. I urge you to talk to your general dentist or an orthodontist about what can be done. Now that my son's braces are off, his orthodontist is recommending that his wisdom teeth be removed. Is this a good idea because they are not hurting him at this time? Your orthodontist most likely took another panoramic x-ray following removal of the braces to evaluate the wisdom teeth. Most likely he or she determined that the long term prognosis for the wisdom teeth was poor and is recommending they be evaluated for removal before any problems begin. Impacted wisdom teeth can cause serious problems if left untreated. Some of the more common problems include abscesses; large cysts that can destroy the adjacent bone; and serious jaw infections that are often quite painful and even life threatening. Early removal of these teeth is often easier, less painful, and will prevent the above consequences from occurring. I'm considering getting braces, but I'm 59 years old and embarrassed by going to see an orthodontist because I think I'm too old for orthodontic treatment. Is it too late for me to have treatment? Absolutely not! I’ve personally treated adult patients in their 70’s and loved helping them improve their smiles and confidence. Orthodontic treatment is possible at any age as long as the teeth and underlying support is healthy. And, with the advantages of current orthodontic technologies such as Invisalign, Suresmile and Insignia there are now numerous options to treat adult patients. Adult patients are usually more compliant and take better care of the appliances and their teeth while undergoing orthodontic treatment. Treatment times are generally on par with adolescents and most adults will confess that their only regret was that they waited so long to have a beautiful smile! Can I bleach my teeth with braces on? I prefer that patients not bleach their teeth with the braces on because they may not be able to bleach under the braces themselves. This may lead to either an unbleached or under-bleached area under the braces once they are removed. While not harmful, it may look odd to have these spots showing immediately after the braces are removed. There are effective bleaching products that your general dentist or orthodontist can use even with the braces on, but they are not available over the counter. You should speak to your orthodontist about your concerns before doing anything on your own. The orthodontist we went to is suggesting we begin early orthodontic treatment on our 8 year old daughter. Can't we wait until all of her baby teeth fall out before starting braces? The American Association of Orthodontists recommends an orthodontic screening on all children by age 7 for several reasons. Jaw growth problems; problems with tooth eruption; and problems with anticipated future crowding can be seen at this early age. That’s not to say that treatment is needed but is merely a screening tool to help avoid the severe jaw deformities and issues with crowding that kids in the 70’s and 80’s had to suffer through. Waiting until all of the baby teeth have fallen out can lead to lost opportunities in helping to correct or greatly reduce jaw problems as well as lead to crowding that can only be correct with multiple tooth extractions. Every case needs to weigh the risks and rewards of undergoing early orthodontic treatment. For more information please check out our article, “Is Early Treatment Worthwhile” on our web site at www.drscottorthodontics.com. How do I find the best orthodontist for myself or my child? Your general dentist is a great place to start when searching for an orthodontist – ask for a referral, or several. Check with friends and family for input too; typically ‘a friend of a friend’ is receiving treatment and can share their personal experience. Take this into consideration, but do some research on your own. Search online for information and look at area orthodontists’ Web sites. Find out what types of treatment they offer and specialize in such as Invisalign. It’s important that whomever you choose is licensed by the state and also a member of the American Association of Orthodontics (AAO). Find out how many years he or she has been practicing. During your initial consultation (which should be free), inquire as to how emergencies are handled, when appointments are scheduled and what types of financing options are available. You should leave this first appointment knowing what type of treatment is recommended, the total cost for treatment (and will your insurance company cover the cost of braces) and how long you will be under his or her care. Remember, the “best” orthodontists and their staff will provide you with all of the information up front and answer any questions that you might have fully, and honestly. If you do not feel comfortable after this intial consult, you need to make appointments with other orthodontists that you uncovered in your research – it’s not uncommon to meet with two or three before you find one that you and your child both like. What do I do if a bracket or band breaks and the office isn't open? Call our office as soon as it opens and we will schedule you as soon as possible. It is important not to wait until your next appointment to get the bracket or band fixed. Broken appliances can halt or delay the treatment process. Sports season is approaching. Do I need a mount guard? Absolutely! This protects your teeth and braces. Call our office for recommendations. Are my braces causing my gums to swell? Your gums are likely not swollen from your braces (or just getting your braces on), but rather from not brushing and flossing properly. When you have braces, it is important to brush and floss twice daily to prevent swollen gums, white spots, plaque buildup, and decalcification. Remember, clean teach move faster, which helps us design that custom smile you want. Check our VIDEO tab for helpful videos on how to brush and floss. Can I eat caramel with braces? No. You should avoid caramel and other foods that are crunchy or sticky and will make it difficult to clean your teeth or might bend, break, or loosen the brackets or bands. Avoid foods like popcorn, crunchy granola, hard candy, and gum. See our HYGIENE page for suggestions and recommendations on what to avoid and how to keep your teeth and braces clean. I just got my rubber bands on. They feel uncomfortable. Whatever you do, wear them as instructed. If you don’t, you will significantly delay treatment and will be wearing your braces longer to accomplish your goal. It is not unusual to some discomfort when you first get them on. This will improve as you become accustomed to them. Is it true that chewing ice will loosen a bracket? Yes. Believe it or not, chewing ice can loosen a bracket. Even biting into a whole apple can displace a bracket. So, if you hungry for an apple, cut it into wedges to avoid damage to the braces. We're accepting several new insurances - While we offer very affordable "self payment" plans, we also accept coverage from various insurance groups. The following have recently joined us: Aetna, Anthem and Assurant. These plans join providers we already accept such as: Delta, Dentemax, MetLife, United Concordia/Tri-Care and Humility of Mary. Guardian is pending, but we hope it becomes official within the next few months. We have exciting news about a 0% payment plan at our office where everyone's approved and there are no credit checks. This means we now have a way to make the orthodontic treatment that you wanted affordable to you. With our new program, we can break up the amount you owe into monthly payments that fit your budget. All you need is a driver's license or state ID and 2 forms of payment, i.e., debit card or credit card. There is a one-time administrative fee of 7.5%. For more information about insurance and payment plans, contact us here! We're here to help you get the most from your plan as possible. To apply for financing prior to your appointment with us, we recommend the following companies. Pay My Provider - You can pay Dr. Scott directly from this account.